Breast milk is the best for the babies till they start weaning and nutrition for babies is a topic of thought and the choice is really difficult with umpteen options available for them. It is known to offer them nutrients with the intake of green leafy vegetables as well as fruits. 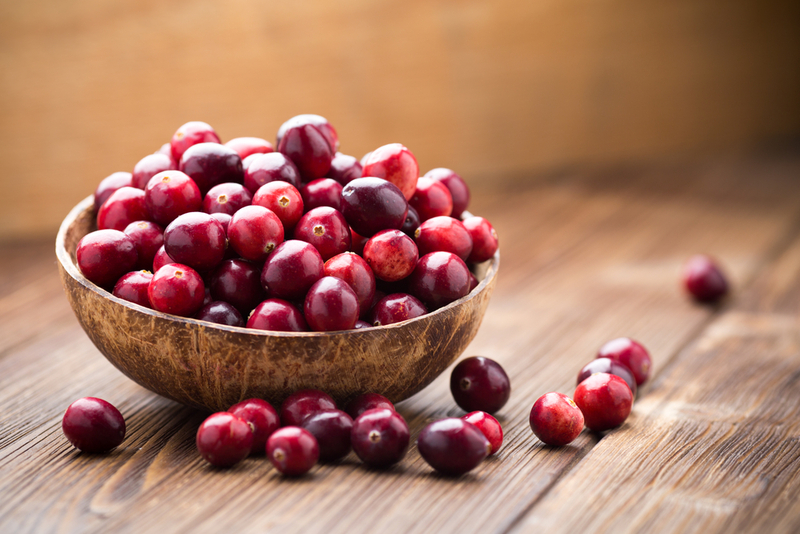 Cranberries are considered to be a wholesome food as the nutrient and antioxidant levels are very high. In case the child is made to have a wholesome diet from the beginning, it becomes easier for the child to instill good habits later in life. Cranberry has a greater acidic content and that is why it is a reason enough not to offer it as a baby food in the initial days. Babies should be given cranberries in smaller amounts to study the reaction on the baby and then continue if no discomfort is seen from the baby’s end are seen. When Can Babies Eat Cranberries? These should be offered to the baby in between 8 and 12 months old in order to prevent any sort of acidic reactions. If introduced earlier than this, the baby can develop small red rashes in areas around the mouth as well as the bottom. So one has to be prudent enough, while feeding cranberries. What Is The Goodness Of Cranberries For Babies? These foods are densely loaded with nutrients and even have a great Vitamin C content and even have polyphenols which are known to boost the immune system and even help to strengthen it. It even helps in the prevention of cancer as well as cardiac-related issues. How To Select And Store Cranberries? It is better to thoroughly check the cranberries before buying them. Presence of dull skin could indicate rotten signs. The fresh and good cranberries bear a deep maroon color, however, a few areas near its top could be of a lighter color as well. The cranberries should be stored in a refrigerator until they can be used. They can even be frozen for a period of 10 months. Babies should only be given juices once the baby attains the age of 6 months or above. Prior to that, the baby does not even need water or juice as breast milk or formula carries all the nutrients required by the baby. When you offer cranberry juice to the baby just ensure that the juice has no extra value than giving fresh fruits. Be cautious as an excess of the juice leads to diarrhea or gastrointestinal disorder. Can I Give My Baby Cranberry Sauce? Cranberries are incredibly acidic in nature. Therefore, it’s not recommended for a baby under 8 months as it can potentially bring about some adverse reactions. After this, canned jelly cranberry sauce is perfectly safe for your baby. Although, whole cranberries can still pose a risk. Therefore always make sure to puree whole berry sauce to a smooth consistency. Helps With Digestion- They are an excellent source of fiber which helps in the regulation of bowel movements and even helps with digestion. It even helps with protection from constipation and other stomach related issues. Improves Immunity- They are a powerhouse for Vitamin E and C. They even help in removing the toxins from the body and even helps to fight infections. Minimises The Risks Of Cancer- The delectable can even help in the prevention of colon, prostate, lung and even breast cancer. Prevents Heart Diseases- Cranberries for brimming with antioxidants, phytonutrients, and fiber that makes it an excellent choice for the heart. It helps to minimize the blood pressure and even helps to combat bad cholesterol levels in the body. If given to the baby from the initial days, the baby can be protected from any kind of heart complications later in life. Protection Of Gums–Cranberry has anti-inflammatory properties that help with the prevention of dental issues and even helps to keep the gums healthy and strong. The cranberries can either be baked or even stewed with certain other foods and should never be given in the raw form particularly to the babies. Take 1 cup of water and boil. Add 3.2 kgs cranberries in fresh or frozen form and then cook them on low flame for about 15 minutes. Keep cooking until the skin starts to peel from the fruit. Now strain this mixture through a sieve and blend till the puree with the right consistency is ready. This puree is sour and a dash of apple juice can be added to cut down the sourness of the cranberry. Mix together 2 portions of yoghurt, a portion of cranberry puree, little bit of vanilla. Wash ½ cup cranberries properly under running water and strain well. Wash and peel 1 large size apple and peel and cut into cubes. Finally, add the washed cranberries along with the apple to the boiling water. Cook both the fruits in water for almost five minutes till the skin starts leaving the fruit. Cool down after switching off the flame. Transfer the cooked fruits to the blender without the cinnamon stick to a blender and make a smooth paste and acquire the required consistency by adding the water in which the fruits were cooked. The same can even be mashed as well. Thus, it can be said that cranberries are a phenomenally healthy option for babies and should be a part of the baby’s diet schedule but care should be taken that it is offered in moderation to avoid any health issues.